OMG Posters! 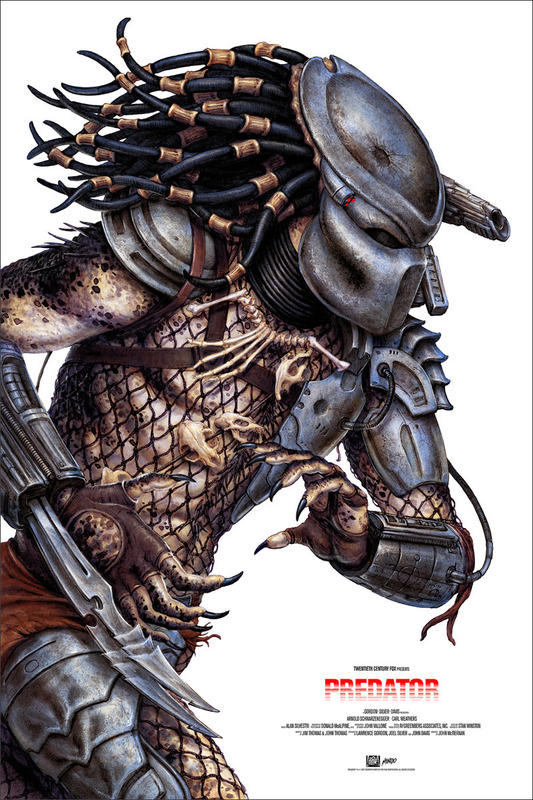 » Archive Predator Poster by N.C. Winters from Mondo (Onsale Info) - OMG Posters! Mondo has N.C. Winters’ latest film poster going up today. The regular edition of Predator is a 24″ x 36″ screen print, has an edition of 325, and costs $50. The variant edition is a 24″ x 36″ screen print, has an edition of 150, and costs $75. These go up today Thursday, January 4th, at a random time. Visit MondoTees.com. These Mondo posters are sweet! The detail in the Predator is awesome. These posters would look so good on a geek tshirt. I’m glad they’re available and I’ll be sure to check them out!.